Chains dominate the Bull Ring and its surrounds, so it's refreshing indeed to find a first-class, independent Japanese bento and sushi bar but 30 seconds from Selfridges’ frenetic doors. 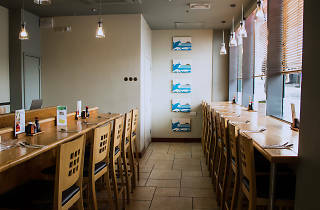 Mount Fuji is the real deal and unlike many decent Japanese offerings, it won’t bankrupt you. For a light bite, try the chef’s finest cuts of the day in the form of the sashimi salad, which usually includes slithers of tuna, salmon and squid with a fragrant, citrus soy dressing. Throw in a steamy cup of authentic miso and a smattering of edamame beans and you’re about as close to Tokyo as you'll get in Brum. A bento box is the way to go for those with an appetite. 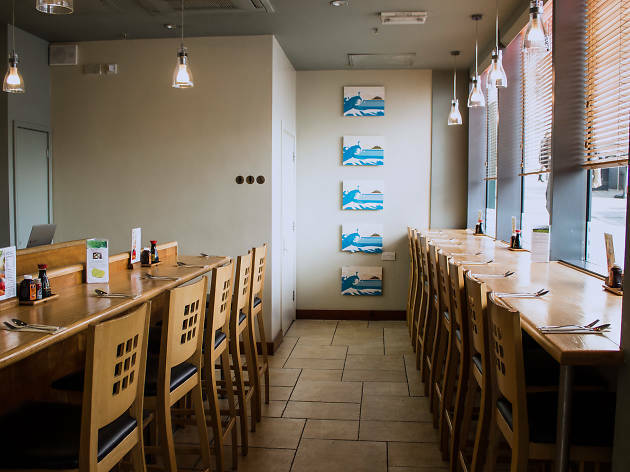 All are served with vegetables, salad, pickles and Japanese rice, plus your choice of dishes including stir-fried gingery pork strips, tempura prawns and marinated eel. As you feast elbow-to-elbow with refuelling shoppers and a reassuring number of locals, enjoy the moment you observe the marauding masses fighting their way into wildly inferior chains. You’re on the inside now.